What is one thing we need to do? What about all the despair in the world? Why some many questions then? How is it an illusion? 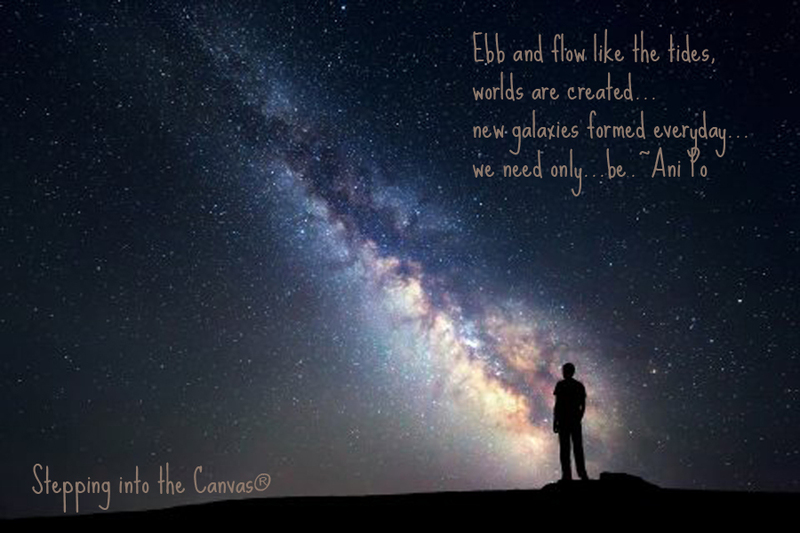 Ebb and flow like the tides, worlds are created…new galaxies formed everyday…we need only…be. This entry was posted in Active Side of Infinity, Daily Quotes, self actualization and tagged Ani Po, confidence, daily quote, gratitude, heaven on earth, hope, inspire, Joseph lieungh, Light, love, moving mountains, quote, self actualization, Stepping into The Canvas, Tao, the way, true-self by Joseph. Bookmark the permalink.